Born in a small village surrounded by the desert in the Venezuelan inland, Alirio Diaz has begun a unique and extraordinary itinerary. The agricultural life of the origins, the work in the fields, the economic precariousness, the struggle against illness... but in the end, as he himself puts it in these pages: such a great lust for celebrations. A bit like celebrating life, which is hard but that’s the way it is. 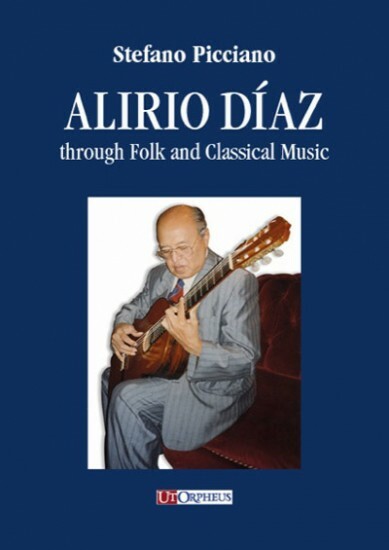 This book illustrates Alirio Díaz’s trajectory, this “farmer who used to play the cuatro”, look after the animals and meanwhile was learning the Divine Comedy by heart and who has later become one of the most virtuous guitar players, admired by Celibidache and Rodrigo and who has enriched his interpretations with a “substrate” that he has always remembered with gratefulness. His example proves still today that learned and folk music are – can and must be – the same thing. With the accuracy of the learned man and the feelings full of admiration as a disciple, the author, often making use of unedited sources and documents, gives account of the life of this man and provides an answer to this question which, like a prospectic fire, accompanies his research: what is the relation between the spontaneous creativity of the folk music and the artistic “genius” which suggests again those assets in the mature language of art.